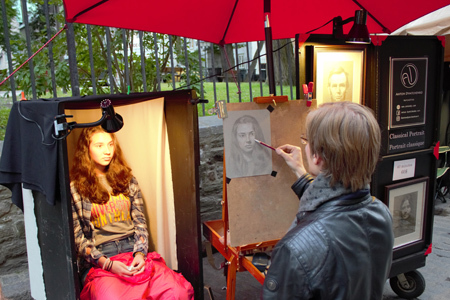 My time as a street portraitist in the historic center of Québec City came to a gradual halt shortly after Labor Day. As the flow of tourists weakened, so did the purpose of being there to draw portraits. None of this is unexpected. It’s just the way the tides go. 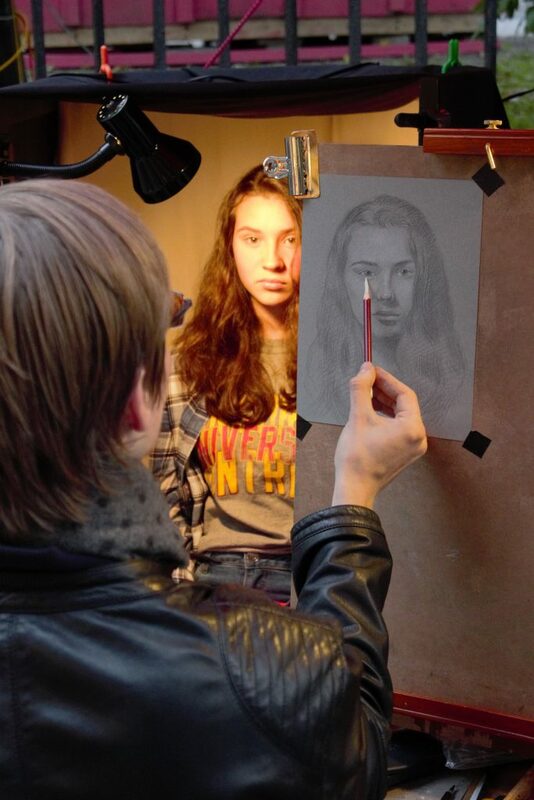 Now, it’s fascinating to look back at how quickly and often all those blank sheets of paper came on my drawing board and came off with someone’s face on them. More than two months of countless meetings, countless interactions and countless smiles flew by. I’ve had the pleasure of meeting people of all ages, all races and from all parts of the world. Every human interaction made me happier to draw and every drawing made me more eager to interact. Although I was in the same place every day, I feel like I’ve travelled. I do realize street portraiture is not a solo show in a renowned gallery, it’s not a huge contract and it’s not a global project. But it’s an experience like no other. It’s a unique addition to an artist’s brain. Drawing faces now feels less intimidating than ever. Constant noise, changes in lighting and irregular weather made me realize the absolute bliss of a studio setup. For some reason, the relentless drawing of people awakened an interest in trees. In short, it was a beneficial jump out of a comfort zone. For all of that, I am truly grateful. But as the leaves are turning yellow, and the birds are looking south, it’s time for something completely different!